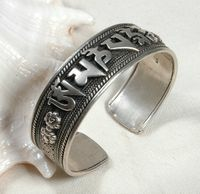 Tibetan Jewelry - A lot of tibetan jewelries are made from sterling silver and Red Coral. 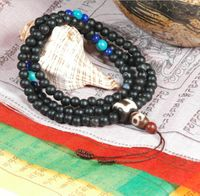 Coral, turquoise and Mila amber are the most important gemstones in tibetan jewelry culture. 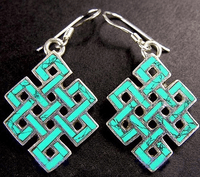 The tibetan people believe coral and turquoise means health, luck and fortune for them. 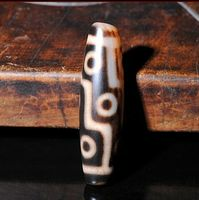 There are a lot of pendants, necklaces, rings, bracelets are made from genuine coral. 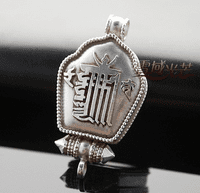 Since tibetan jewelry is loved by people around the world, many people write to ask me, why coral is so widely used in tibetan jewelry? 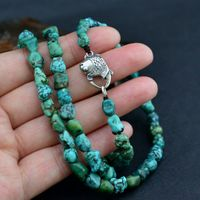 Where are the coral beads from? 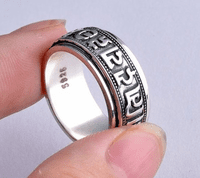 And what kinds of coral are generally used in tibetan jewelry? Coral is known to be used as a gem since prehistoric times. 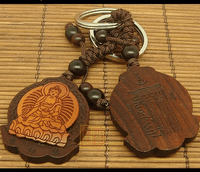 Has a history of religious meaning and is one of the seven treasures in Buddhist scriptures. 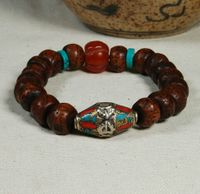 Coral was long thought to be a strong talisman against bleeding, evil spirits, and hurricanes. Its color ranges from white to red. It grows in branches that look like underwater trees. Most coral is found in the Mediterranean Sea or in the Pacific off Japan and Taiwan. When you say the word coral, most people think of the coral reefs in the South Pacific like the Great Barrier Reef off Australia. However, these coral reefs are formed by a different species than the coral traditionally used in jewelry Corallium rubrum and Corallium japonicum. Red coral these days is almost always dyed. 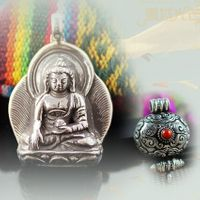 We have wide selection of tibetan pendant, tibetan bracelet, tibetan necklace, tibetan earrings, tibetan finger rings, buddha statue pendant, 108 beads malas, mala beads bracelet made from genuine red coral, turquoise, mila, sterling silver, copper, tridacna and so on. 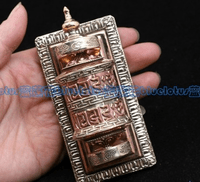 We wish you could found your loved tibetan jewelries from us. 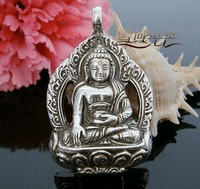 Buddha bless you!